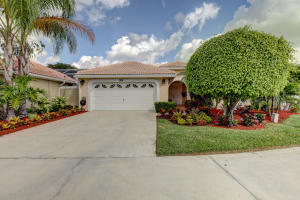 View all current homes for sale in Preston Courts, Palm Beach Gardens, Florida. Click on a listing to the view property details, photos and maps. If you would like to change or expand your search criteria, go back to the Palm Beach Gardens search page, or try using our Advanced Search. RARELY OFFERED COURTYARD HOME WITH SEPARATE GUEST HOUSE. THIS BEAUTIFUL OPEN CONCEPT HOME IS COMPLETELY RENOVATED. ALL APPLIANCES (2 YRS. OLD.) KITCHEN W/BUILT-IN PANTRY, GRANITE, ETC. A/C 2 YRS. OLD (TOP OF LINE LENOX.) ALL CLOSETS CALIF. TYPE W/ EXTRA STORAGE. HUGE MASTER BDRM. AND GORGEOUS MASTER BATH. SECURITY SYSTEM TOP OF THE LINE. ROOF IN EXCELLENT CONDITION (RECENTLY INSPECTED,) NEW GUTTERS, SEPARATE GRILL AREA, COURTYARD AND BACKYARD ARE STUPENDOUS. LIGHTED AND PROFESSIONALLY PLANTED W/ FLOWERS, PALMS, ORCHIDS ETC. ACCORDION SHUTTERS THROUGHOUT 1 YR. OLD.